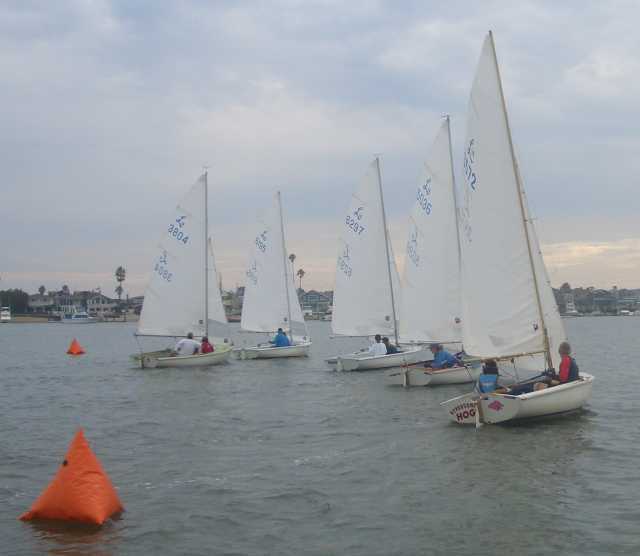 The Ullman B regatta and clinic is a unique event in sport of Lido 14 racing. It consists of a full day of seminars, boat handling demonstrations, and racing. The regatta was originated in 1971 by Dave Ullman and offers a perpetual trophy for the winner of the regatta. 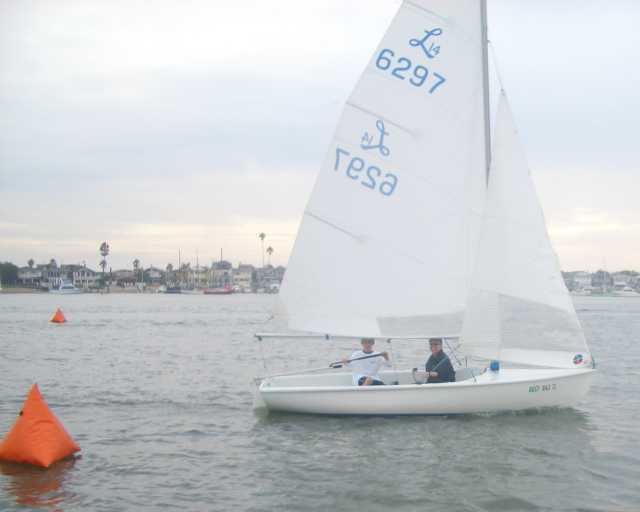 Originally designed as a last chance qualifier to get into the A fleet (at the time when qualification was required to race as an A), the regatta has since become a training event to teach novice and intermediate sailors the fundamentals of racing with practical experience racing that day too. This year, Regatta Chair John Papadopoulos led the group through lectures and Q&A on tactics, strategies, and racing rules. The wind was very slight - perhaps a few miles an hour - all morning long and the tide was enormous (approximately an 8 foot swing which is unheard of in Newport Beach). Nobody was in a hurry to get out on the water so we all had a fine time at the clubhouse. Mid afternoon, just as demonstrations on roll tacking, gybing, and whisker pole handling were wrapping up, the breeze switched from a feeble Santa Ana wind to a respectable 5 or 6 mph ocean breeze. The fleet quickly took off for the racing venue and completed three quality windward leeward races. The group returned, had a clinic debrief and an awards ceremony. 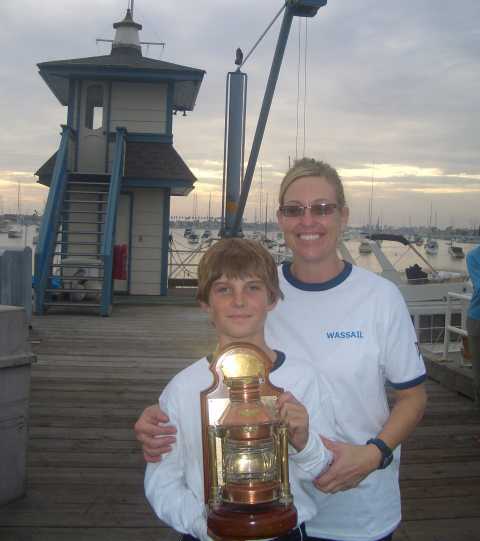 Christophe Killian, the 10 year old son of crew Cathi Killian (sailing together for the first time), handily won the regatta with three straight bullets. Thanks to all those that attended, raced, and helped at the regatta. A special thanks to the Patrick family (Husband and wife Greg and Lisa and their two very young daughters) for joining us. They got their very first taste of sailboat racing today in their recently purchased Lido 14. We look forward to seeing them again.